Roti, Kapda, Makan and thoughtfully “Pension” is all what we need as a common man. Let’s find how we can choose a pension plan for a financially secured future and old age. The thought of not having saved anything for my future, shakes me to the core. Looking at people around me, it feels like I haven’t done much to secure and save something for my old age. Common man is the worst to get effected with inflation and disturbance in the economy. And me as the part of “aam janta” have seen and heard about pension plans through parents, relatives or at our workplace. In simple words pension plans are retirement plans which requires the employee and employer to contribute some amount of funds. These funds are set aside for the worker’s benefit. This contributed fund is later given to the employee on retirement. Pension plans are most commonly used plans. In India there are three components to the Indian pension system. Namely, Civil servants pension, the mandatory pension programs run by the employee’s Provident Fund Organization of India and the unorganized sector pension called the National Social Assistance Programme (NSAP). Why opt for pension plan? Rise in Life expectancy rate: The life expectancy recorded in the year 2017 in India was 68.78 years as per the World Bank. The life expectancy rate has increased by 10 years almost in the past 20 years. Higher the life expectancy, higher will be the amount needed at the time of old age or post retirement. Lack of Social Security System in India: Unlike other countries, India lacks a social security (Social security means, measures taken by the Indian Government or the governing body. These measures are typically taken to provide income to the individual or his family when all sources are disrupted). India lacks in schemes and programmes which will look after the benefit of the disabled as well as retirements etc. Regular flow of income: A pension or a retirement plan assures you a flow of regular income after your retirement. You may then be able to lead a comfortable as well as a relaxed lifestyle. Certain traditional plans offer you bonuses too. Tax benefits: It is always advisable to buy a pension plan at an early age. Doing so will also give you tax benefits under the provisions made by the Section 80C of the Income Tax Act. Why pension plans offer the best retirement solutions? You can plan logically and strategically and organize cash flow for your post-retirement. Pension Plans are meant for retirement planning. Money accumulated is meant to be used in post-retirement. In other plans, you can utilize the total accumulated capital, however, in a pension plan, minimum 1/3rd of the total is compulsorily to be utilized for retirement. 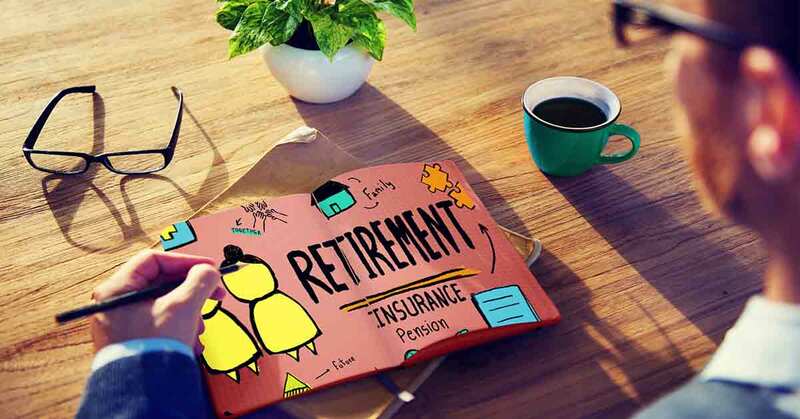 Now that we are aware of the importance of a pension plan, the next crucial question arises, “How to choose the best pension plan in India?’’ Let’s find out how? Below are the most commonly used pension plans in India. In order to choose the most efficient one, it is important that you know the different plans in the market and choose the one as per your requirement. Immediate Annuity: In this plan one has to invest a lump-sum amount and the pension payments will start immediately. Plans with and without life cover: With life cover: The ones with life cover have a life component in it. In case of death under such plan, a lump sum amount is paid to the family members. Without life cover: This implies that there is no life cover and only the premiums paid or amount invested is returned to the nominees. The money returned may or may not be with interest. National pension scheme (NPS): In this scheme, one can save for the retirement by investing in equity and debt market as per their preference. 60% of the amount can be withdrawn at the time of maturity and 40% must be used to purchase an annuity plan. Below is the list of top five pension plans available in India today. Pension can be received monthly, yearly, quarterly, and half yearly. This is a with profit deferred annuity plan. The policyholder’s accumulated amount (i.e. Sum Assured + Guaranteed Additions + Bonuses) is used to generate a pension (annuity) for the policyholder. Premiums are exempted under the section 80C of the Income Tax Act up to Rs.1.5 lakh. No maximum limit for the basic sum assured. Guaranteed Additions @ Rs.50/- per thousand Sum assured for each completed year, for the first five years. This pension plan can be taken only on single life basis. Tax benefit under section 80C of the Income Tax Act. A policy holder can receive regular income on his retirement by investing in Equity. This plan provides a guarantee on the money invested along with growth by investing in a mix of equity and debt, thus helping in protection against the rapid changes in the market. Hence without wasting time and hesitating, invest in a pension plan for a better tomorrow.